Sean O’Keefe Events is making magic happen in Atlanta. Let us make your important moments magical with our event planning, design, floral, and culinary services. Milestone celebrations such as weddings, birthdays, and mitzvahs are all created with one thing in mind: we turn our clients' every vision into an impressive reality. The dedicated team at Sean O’Keefe Events pledges to deliver unforgettable memories and a transformational event experience. Our clients expect world-class service, style, and dedication, and all of us at Sean O'Keefe Events take pride in over-delivering in every way possible. Social and corporate events are our specialty. As your chosen event partner, our design team will create your vision beyond your expectations. We will ensure that nothing is left to chance—we’ll add graciousness to every occasion, and we’ll guarantee that, whatever your budget, you will receive the ultimate value. We are privileged to work alongside the most respected companies in the events business and that all share our passion, commitment and high standards of service, excellence, dedication and attention to detail. Whether you are looking for understated or over-the-top, formal and extravagant, or a casual, fun environment, you decide, and we'll bring your event to life. Creating magical events is more than a catch phrase for us—it is our promise to every client. A perfectly planned and executed event is our promise to every client. Our understanding and specialized approach to this thoughtful process is essential in the creation and refinement of your personal special event plans. Our skilled and dedicated team of event specialists starts by listening to each client’s every desire. We will develop your event timeline and map out your event details down to the last minute, ensuring a flawless corporate, wedding, or social event of any size and in any location. We will look after all aspects of the party planning process from logistics to guest favors. Our team specializes in troubleshooting every possible issue, which is just one of the reasons why Sean O’Keefe Events is one of Atlanta’s top party-planning companies. Imagination and magic are key components to the design studio at Sean O’Keefe Events. Our designers specialize in tapping into your personal fantastic expressions and allowing you to let your mind go as we work to create the look and feel of your event. Our attention to detail and a unique style allow our design team to capture your wishes and ideas and bring them to life in front of your very eyes—and to the delight of your guests. From the first impression to the ultimately beautiful table design, decor elements, and floral arrangements, our design team will create your dream event. 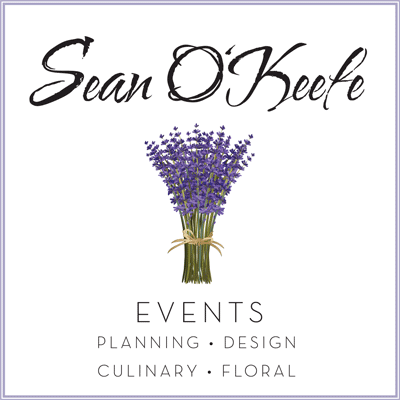 Sean O’Keefe Events will make you feel like a guest in your own home. We proudly offer in-home private dining experiences, food and beverage menu development, and uniquely tailored culinary classes. Exceptional culinary artistry and a passion for the finest and freshest ingredients are the hallmark of the Sean O’Keefe Events’ culinary team. With more than 20 years of culinary experience, our broad range of culinary styles, menu options, and specialized ingredients are just as important to Sean O’Keefe Events as our incredible presentation and food styling. Remembering that we eat with our eyes first, our dedicated and highly skilled culinary team will dazzle your palate visually and then wow your senses as you dine on global cuisines tailored to your exact tastes. We pride ourselves on personalized service and delicious food that, simply put, will excite your guests and leave them wanting just one more bite! Flowers are an essential element of any event and will completely change the look and feel of your birthday party, wedding, corporate or social occasion. From a wedding to an intimate dinner for two, The Flower Studio at Sean O’Keefe Events is your perfect floral partner. We offer everything from simple seasonal floral arrangements to elaborate wedding presentations and holiday-themed arrangements, styled using only the best flowers from local and global suppliers. There are no limits to our creativity, and leaving an everlasting impression is our mission. Floral arrangements are truly a natural extension of our services, so prepare to be delighted by our dedication, artistry, style and presentation. As regularly seen on CBS Better Mornings and WXIA-TV's “Atlanta and Company,” Sean O'Keefe is Atlanta’s entertaining and event guru. With Hollywood as his training ground, Sean is now Atlanta’s own lifestyle expert and guide to the good life. “The smallest idea can blossom into an incredible event with the right passion, knowledge and creativity,” says Sean. Sean excels at creating the incredible. 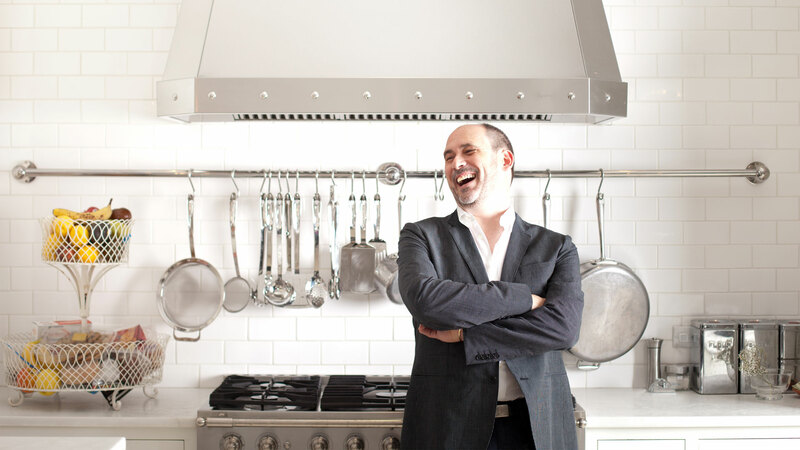 Sean’s host of skills in culinary consultation, private chef, event planner, florist, mixologist, and event designer are limitless and polished, with more than 20 years of entertaining experience and being of service to some of America's most amazing households. His mind-boggling attention to detail, as well as his reputation for delivering exceptional events with world-class service, has positioned him at the top of the who’s who list of event planners in the city and throughout the Southeast. passion for food into a professional career after moving to Toronto and opening his first private chef company, The House Husband. It was not long before Hollywood came knocking and a move to Beverly Hills was in his future. Eager to learn, Sean embarked on the adventures of living in a city like Los Angeles. The finest American and European restaurants and hotels were his playground as he studied and honed his craft. In his free time, Sean began teaching culinary classes both to professional and nonprofessional students. With his skills, knowledge and ability to create an event for every moment, he has been able to work for old Hollywood, new Hollywood, royalty, politicians and the jet set. After moving to Atlanta, Sean decided to use his broad range of lifestyle experiences to turn what he did for the few into something he could do for the many, and proudly began working on his next amazing adventure. He created Sean O’Keefe Events in the spring of 2009, specializing in seizing magic in every moment and cultivating his clients’ ideas into the most gracious and high-style events that metro Atlanta has ever seen.